While the big players in camera technology and manufacturing have been making quite a commotion at this year’s NAB, there’s been a much smaller brand that’s also causing quite a stir. 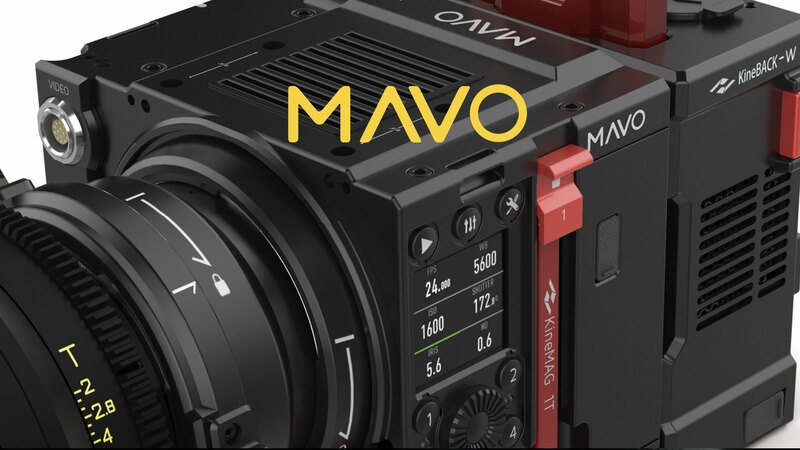 Kinefinity, a relatively young brand from China, is shaking up the indie filmmaking scene with the reveal of their newest flagship cameras, the MAVO and the MAVO LF. Late last year, they revealed their more affordable options in the TERRA series of cameras, which come in 4K and 6K flavors. The MAVO line is, in essence, a successor and evolution to the TERRA 6K at the same time. Before we get into features, we’d like to establish that the meaning of the term “affordable” is relative. These cameras, which start at $8,000, are only “affordable” when compared to the likes of ALEXA and RED. Now with that out of the way, let’s talk about the amazing stuff. The MAVO 6K is based on a Super 35 size sensor like many cinema style cameras available now. This means any Full-Frame or APS-C lens will work just fine. The MAVO LF, however, is something special because of what the last two letters in the name stand for. LF stands for Large Format, meaning that the MAVO LF is a full-frame cinema camera. This puts the camera squarely in competition with very high-end manufacturers. Full-frame cameras don’t have a zoom factor to deal with when it comes to lenses, so what’s written in the lens is the focal length you’re getting. Speaking of lenses, full-frame cameras need full-frame lenses, so no Sigma 18-35 f1.8 here. You’ll have to step up to the 24-70 f2.8 for an equivalent framing. Another huge point for the MAVO line is the size or lack thereof. Both cameras are small and share the same design language as the Terra cameras. The body is incredibly compact and light. It’s essentially a 110mm cube that weighs less than a kilogram. For lens mount options, Kinefinity has done something interesting. Instead of having a number of cameras with different mount types, the company has created an Omni mount called the Kinemount. One side of the mount with always mount on the camera and the other will have a mount that will correspond with the lens that you have. There’s no being locked into a single style of lens mount which is great. The downside is that the mounts are not cheap and will set you back a few hundred dollars each. And finally, someone has seen the light and used a storage media that is not proprietary and actually affordable. The MAVO cameras, as well as the TERRA cameras, use SSDs to record to. This isn’t going to stop Kinefinity from selling their own SSDs, which they certainly are, but it at least gives users the option to use other brands. While the company hadn’t said which drives will work, they did mention that other 7mm SSDs should work. SSDs are the best option when it comes to write speed performance for the money as Cfast 2.0 costs too much still and SD cards, even the high end/ high-speed ones, aren’t fast enough to capture 4K RAW, let alone 6K. There are some other goodies as well, such as 14 stops of dynamic range, which will certainly help when it comes to mixing lights and atmosphere. Pre orders are open for both cameras on the Kinefinity site, but pricing has yet to be officially announced for the MAVO LF. If pricing on the regular MAVO is anything to go by, the large-format version is expected to start at around $10,000 for the body.